Growing up my fondest memories during the holidays were not the toys that we received. The traditions were what made the holidays so special, even as an adult they still are! Every year we put the same decorations on the tree, ate the same dinner, snacked on the same treats, and we were together. Last year, I was pretty down in the dumps until about Christmas Eve. You can read about that HERE. There was a lot going on! The largest culprit to my anti-Christmas was the lack of tradition, it was missing! I wasn’t with my parents, barely speaking to my oldest brother and my brother, sister in law and nephews were in SK. We’d been struggling with Ava’s anxiety, the possession date of my parent’s house was quickly approaching, life was becoming very real. I’d been holding onto those Christmas Traditions established by my family growing up. I had started my own family, wasn’t it time to develop our own traditions? 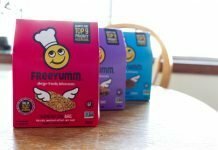 This year I evaluated what was missing, CHRISTMAS BAKING! Every other year, I’d spend a few hours in the kitchen attached to my stove baking dozens upon dozens of cookies. I would make at least 4-5 varieties of cookies and freeze them. Perfect for guests popping by unexpectedly, or assembling gift boxes for those people you forgot to buy for. 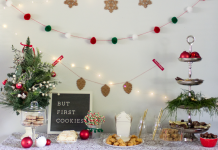 Having enough cookies on hand to feed an army isn’t a bad thing right?! There is a reason I make 2 pies at Thanksgiving, why I insist on cooking a 16lb turkey for 3 adults and go completely overboard every holiday! I love to see people enjoying my food, whatever it is! 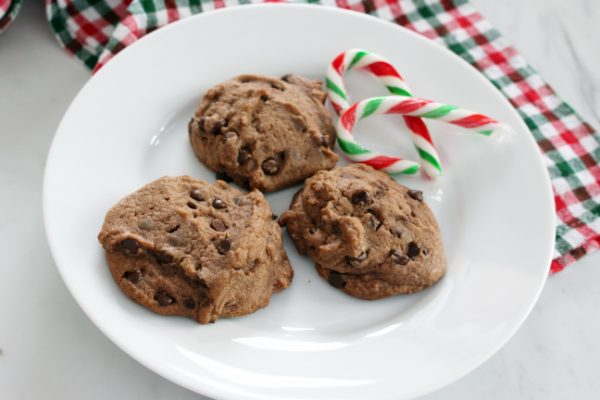 First off in my holiday recipe series is one of my favourite cookie recipes. 2. Beat granulated sugar, brown sugar, butter, sour cream and coffee in a large bowl with an electric mixer at medium speed until creamy. (I always just use a fork!) Add eggs, one at a time, beating well after each addition until batter is light and fluffy. 3. 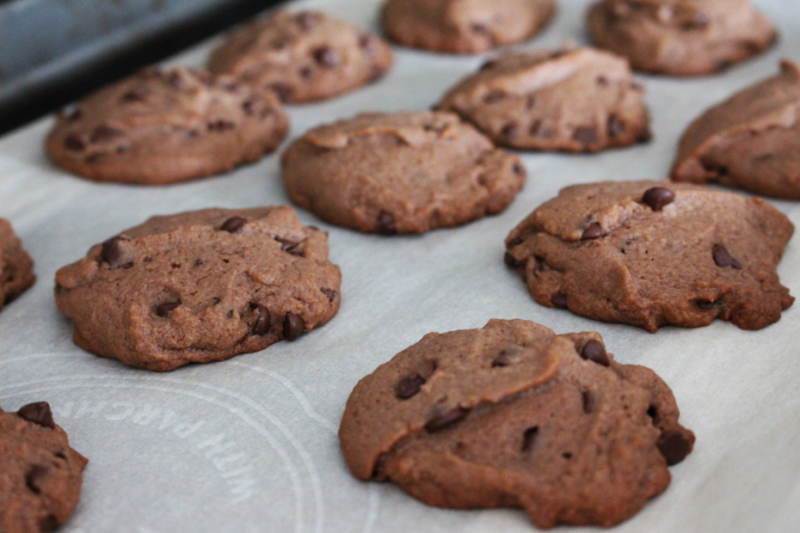 Combine flour, cocoa, baking soda, baking powder and salt in a medium bowl. Gradually add flour mixture to butter mixture, beating a low speed until just blended, again I just use a fork. 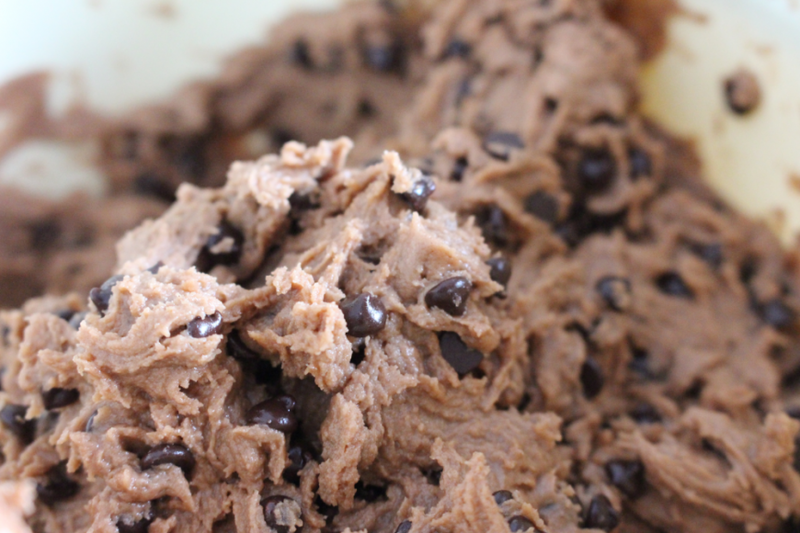 Stir in chocolate chips! 4. 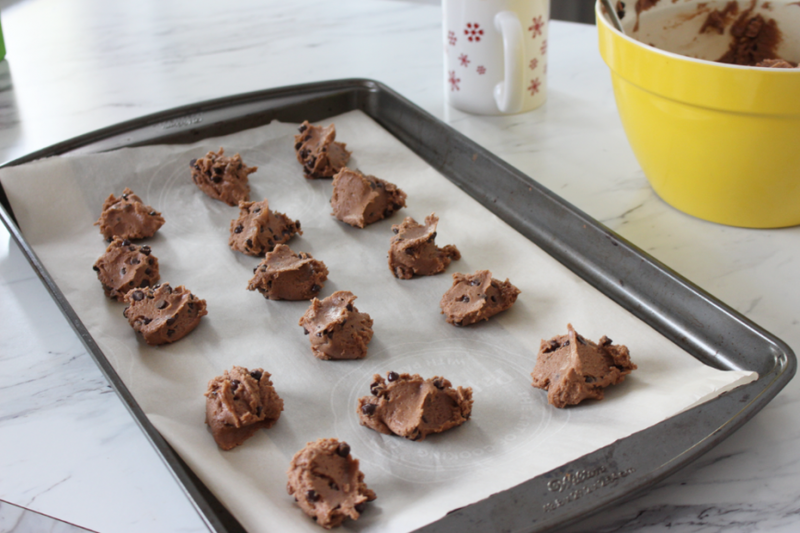 Drop dough by rounded tablespoonfuls onto ungreased cookie sheets. Bake 9-11 minutes or until slight imprint remains when pressed with finger. Cool on cookie sheet for about 3 minutes. Remove to wire racks; cool completely. Makes 5 to 6 dozen depending on cookie size. 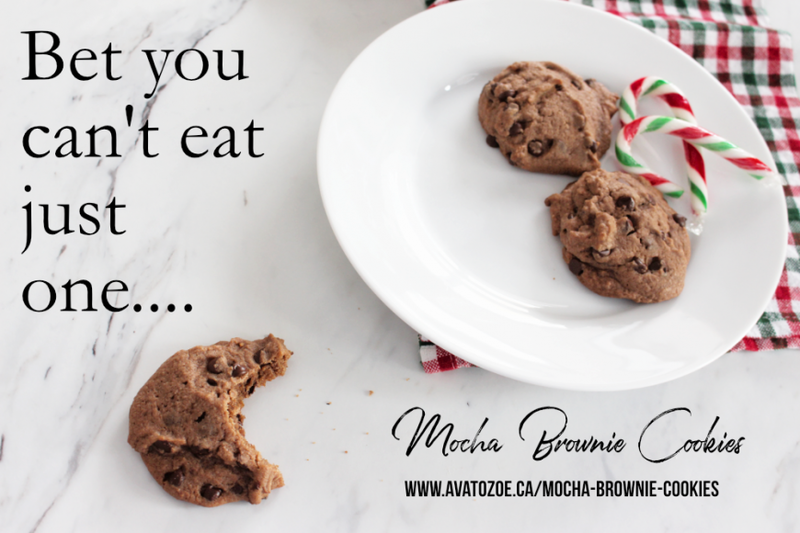 These Mocha Brownie Cookies are extremely addicting and freeze well. That being said, they also taste really good when frozen for those impatient foodies like myself! This is just one of my favourite recipes for the holidays! Stay tuned for next week for the next recipe! 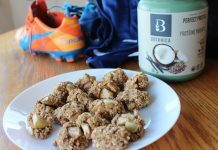 Previous articleThe Five things I Learned About Running and My Favourite Essentials!